Local peeps! Y'all should come to the Advent Fair at my church tomorrow. 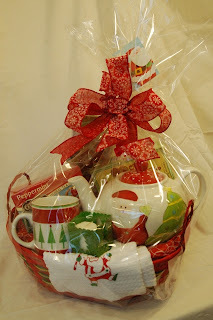 Marvelous gift baskets (which I helped make), handmade crafts, country kitchen, children's activities, silent auction, and a raffle to win an iPad mini. It's a one-stop shop! What Came From the Stars by Gary D. Schmidt. Clarion, 2012, 304 pages. Eighth Grade Is Making Me Sick: Ginny Davis's Year in Stuff by Jennifer L. Holm, illustrated by Elicia Castaldi. Random, 2012, 128 pages. The Great Unexpected by Sharon Creech. Harper, 2012, 240 pages. Jerusalem: Chronicles from the Holy City by Guy Delisle. Drawn and Quarterly, 2012, 320 pages. Remarkable by Elizabeth Foley. Dial, 2012, 336 pages. homeless girl and her puppy. Almost Home by Joan Bauer. Viking, 2012, 240 pages. backstage crew take center stage. Drama by Raina Telgemeier. Graphix, 2012, 240 pages. No Biking in the House Without a Helmet by Melissa Fay Greene. Sarah Crichton Books, 2012, 368 pages. but that's kind of the whole point. The Templeton Twins Have an Idea: Book One\ by Ellis Weiner. Chronicle, 2012, 232 pages.